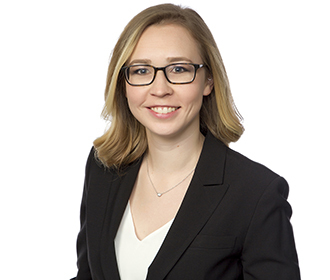 Kelsey’s practice focuses on representing natural gas, oil, and electric utility industries in regulatory and rate case litigation proceedings before the Federal Energy Regulatory Commission (FERC) under Section 4 of the Natural Gas Act and Sections 205 and 206 of the Federal Power Act. In particular, Kelsey has extensive experience in representing natural gas and investor-owned and municipal utilities in cost-of-service rate proceeding before FERC, including transmission formula rate cases. Kelsey also provides counsel on various regulatory approvals from FERC, including Section 203 approvals, exempt wholesale generator and qualifying facility status determinations, and market-based rate authority. Recently, Kelsey has assisted a number of clients in interconnection-related issues in various ISO/RTO regions, including MISO, PJM, and SPP. Prior to joining Van Ness Feldman, Kelsey was a Trial Attorney at FERC, where she represented the Office of Administrative Litigation in settlement and hearing in administrative litigation concerning complex electric, natural gas, and oil pipeline matters. In addition, Kelsey assisted in the litigation of several electric, natural gas and oil pipeline rate cases before administrative law judges at FERC, filed testimony and motions, drafted pre- and post-hearing briefs, prepared witnesses for cross-examination, conducted cross-examination of witnesses, and participated in depositions. Kelsey also previously interned at FERC’s Office of Enforcement. While at Harvard Law School, Kelsey served as a managing editor on the Harvard Environmental Law Review and co-taught an undergraduate course at Boston College on Environmental Law and Policy. Represented the FERC Staff in cases set for hearing by FERC by providing independent legal and factual analysis, building a full evidentiary record in contested cases, and leading negotiations to achieve meaningful settlements. Lead trial attorney on complex electric and oil pipeline proceedings and acted as co-counsel in two complex oil pipeline hearings. Performed direct and cross-examination of witnesses. Prepared for, conducted, and participated in depositions. Drafted motions, briefs, and discovery requests in complex electric, oil pipeline, and gas pipeline proceedings. Wrote and prepared a presentation on price formation in organized wholesale electricity markets.